San Francisco (THE WIRE PRESS) The premier online education platform MasterClass announced today that the legendary icon and fourteen-time Grammy® Award-winning musician Herbie Hancock will teach his first ever online class exclusively with MasterClass. The class is currently available for pre-enrollment at www.masterclass.com/hh. 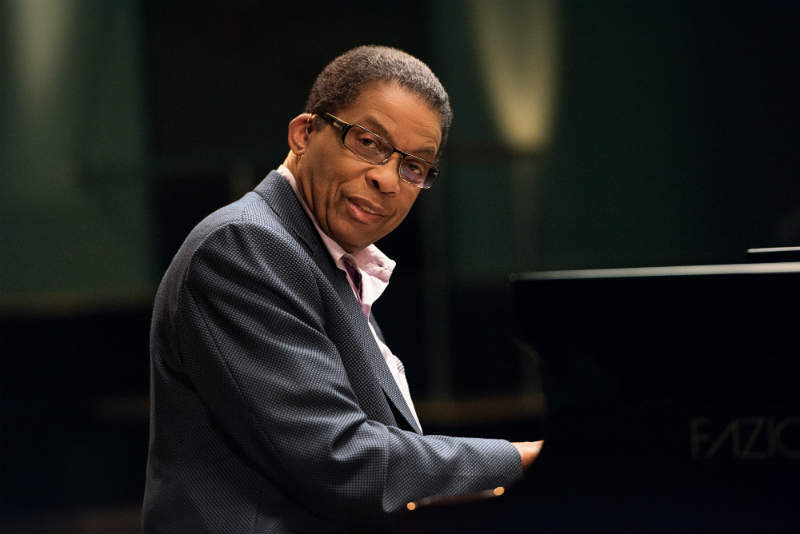 In addition to being recognized as a legendary pianist and composer, Herbie Hancock has been an integral part of every popular music movement since the 1960’s. At a young age, Hancock had already gained recognition as a child piano prodigy and performed an impressive Mozart piano concerto with the Chicago Symphony Orchestra at age eleven. He went on to play jazz in high school and explored his passion for both electronics and science. In 1963, Hancock joined Miles Davis’ Second Great Quintet. Davis served as an inspiration and mentor for Hancock. Hancock continued to progress in his field and became one of the most influential jazz musicians, discovering the melodious bridge between traditional jazz and electronic sound. His many accolades include being named a Kennedy Center Honoree, UNESCO Goodwill Ambassador, Institute Chairman of the Thelonious Monk Institute of Jazz, and Co-Chair of International Jazz Day. Now in the sixth decade of his professional life, Herbie Hancock remains where he has always been: at the forefront of world culture, technology, business and music. He is currently in the studio at work on a new album and most recently announced a world tour (http://www.herbiehancock.com/home.php#tour.php). “Miles Davis taught me a lesson I’ll never forget: in jazz there are no mistakes. Every note you play is an opportunity to take your music further. That idea opened my ears to worlds of musical possibilities. In my class, I will share those ideas and help you discover your sound. Through lessons in harmony, rhythm, composition, and improvisation, I will show you how to write and perform with freedom,” said Herbie Hancock, MasterClass instructor. “Herbie is simply amazing. He is not only a music legend, but he is devoted to helping the next generation of musicians. The depth and the joy with which he shares his craft is a revelation,” said CEO and Co-Founder David Rogier of MasterClass. MasterClass is an online education company which provides classes from world-renowned instructors, making it possible for anyone to learn from the best. Each class offers a unique learning experience which includes video lessons from the instructor, interactive exercises, course materials, peer interaction and more. All classes are available online for individual purchase at www.masterclass.com. Established in 2015, the San Francisco-based company was founded on the idea that everyone should have “access to genius.” The premier online education platform provides affordable, engaging, and inspirational online classes taught by world-renowned instructors, making it possible for anyone to learn from the best. Each class offers a unique learning experience which includes video lessons, interactive exercises, a series of course materials, peer interaction, and more. MasterClass’ current roster of courses includes Christina Aguilera (singing), Kevin Spacey (acting), Usher (performance), Gordon Ramsay (cooking), Serena Williams (tennis), James Patterson (writing), Dustin Hoffman (acting), Werner Herzog (filmmaking), Aaron Sorkin (screenwriting), Reba McEntire (country music), Deadmau5 (music production), Hans Zimmer (film scoring), Shonda Rhimes (writing for television), Steve Martin (comedy), and David Mamet (dramatic writing). Most recently, the company announced pre-enrollment for Frank Gehry (design and architecture), Diane von Furstenberg (how to build a fashion brand), Jane Goodall (conservation), and Garry Kasparov (chess). For more information, please visit www.masterclass.com.